Ivan Orkin is the talented chef-owner of Ivan Ramen and the recently opened Ivan Ramen Plus. A Culinary Institute of America graduate who has worked with the best including Andre Soltner of Lutece and Bobby Flay. Ivan has been very busy with the opening of his second ramen shop as well as working on what will be the definitive book on ramen in English. His first book, in Japanese, tells the story of how his first shop came to be and is very interesting read. As a chef, he enjoys going out to eat in Tokyo and I always enjoy hearing about his favorite eats. If you go to one of his restaurants, tell him that Yukari sent you! Ivan’s very down to earth and a great guy. Best of all, his ramen is amazing. The noodles are all made from scratch and the soups are clearly made by a top-class chef. Personally I always look forward to his gentei ramen, that are only on the menu for a short time. His creativity and palate is reflected in these dishes. 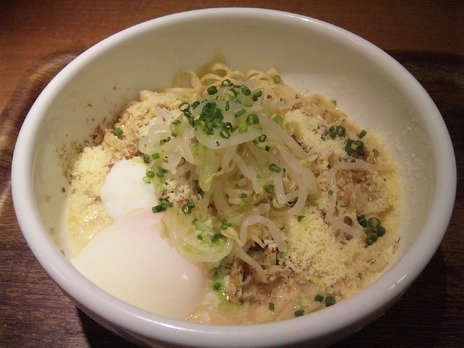 The Cheese Mazemen is the recommended dish at the Ivan Ramen Plus. Following is the description from his website. Go hungry, better yet, go with a friend so you can order several dishes to share. 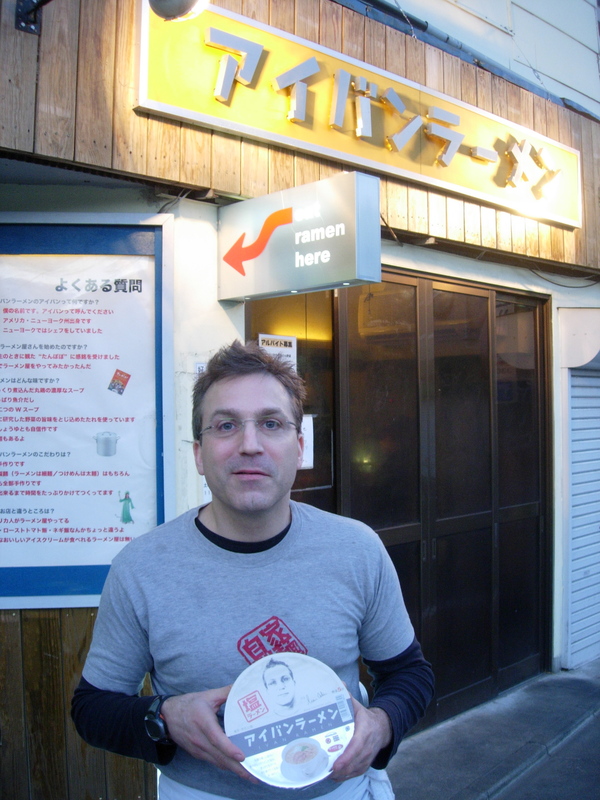 Ivan in front of his first shop, Ivan Ramen, holding a bowl of instant Ivan Ramen. 1. Tell us about your second shop, Ivan Ramen Plus, and why you opened it? My second shop is bigger, brighter and in a more accessible location. The shop is a continuation of what I started with the first shop. This time I started with an all fish soup as well as a dish with tons of cheese and thick noodles (which has been a runaway hit.) I’ve since added a more traditional meat soup in a soy and salt flavor, with toasted wheat noodles. I even do a riff on a Italian meatball on rice with a dashi inflected tomato sauce! I decided to open the shop because I thought it was time to expand. More people have a chance to try my food and I have another opportunity to challenge myself and cook more. It’s been tremendous fun. 2. Is there a difference between the two shops? The first shop is a little bit more traditional in a variety of ways. The ramen is a little more classic in structure, the shop is a typical ten seat tiny Tokyo ramen shop and it’s located in a kind of funky off beat location. The new shop is larger (well, 16 seats, larger by Tokyo standards) much more modern and offers food that pushes the envelope a little bit more. 3. Any good ramen that you have eaten recently? I had a great bowl of ramen the other day at a shop in Kanda called Kikanbo which means literally the club that an oni or devil carries. It’s spicy miso with both chili pepper and Szechuan pepper corns both of which you can vary the level of heat. They have a ramen shop and 100 yards away a tsukemen shop as well. I also love 69-n- roll and one (69 is pronounce roku, like rock n- roll) a ramen shop in Machida pretty near the train station. 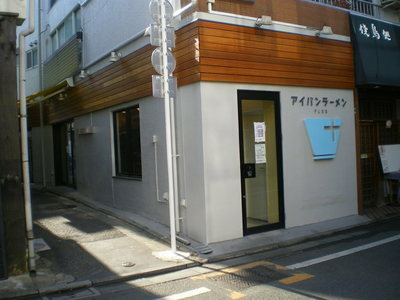 It’s a legendary shop specializing in light ramen with chickens solely from Akita Ken (a prefecture in northern Japan). There’s no talking, reading or laughing allowed, so be prepared to concentrate on the ramen, but it’s worth it! 4. Any restaurant recommendations other than ramen that you’ve had recently? I always love Tateru Yoshino in Ginza a French restaurant run by a Japanese Chef with a restaurant in Paris. Its always very good and lunch is steal at 4800 yen. The space has soaring ceilings, four star food and service and a relaxing vibe. I also love Florilege, a newish French place in Aoyama. This is also a steal at 4200 yen for lunch and around 10,000 yen for dinner. The chef uses molecular techniques as well as more traditional ones, and is known for fabulous offal dishes. They only do one sitting for lunch and dinner and then concentrate on the diner, so try to get a reservation at least a week or two in advance. Definitely worth the trip! 5. Can you explain the volunteer work that you and other ramen chefs are doing for Tohoku. I have been participating in various volunteer efforts to help and heal the people of Tohoku. I have visited a refugee center and cooked ramen for people displaced from the Fukushima region and more recently did a benefit dinner along with 40 renowned chefs from all over Japan. More than 300 attended paying 200-500 dollars each to sample the amazing creations offered by the amazing chefs participating. We all concentrated on building our dishes around the ingredients from Tohoku. I am also building a website that will sell “virtual” bowls of ramen, and the money from each bowl will go to serving an actual bowl of ramen to people all over the Tohoku region. There are people suffering terribly, from the obvious, people that lost their homes and family and are living in shelters, to the less obvious, the elderly that are living in their houses but still have no heat or running water. There is still so much to do and we’ve only just scratched the surface. I will forward the information on the site once it is ready. All of the collected money will go directly to feeding those in need. It’s going to be exceptional! 6. Has your business been affected since March 11th, rolling blackouts, etc.? The first month was uncomfortable and scary, lots of aftershocks, fears of no electricity, everything was uncertain. Things have since stabilized and business is essentially back, with the occasional inexplicable slow day. 7. Your noodles are made from scratch. Any interesting noodles lately? My new shio (salt) and shoyu (soy) ramen both use my toasted wheat noodle. It’s a relatively thin noodle with a great toasted wheat aroma. At both shops combined I am currently serving seven different types of noodles. I’ve really become something of a noodle geek and never tire of experimenting. 8. I have always been a fan of your gentei ramen. What is on the menu at the moment? What can we look for in the future? I have several new dishes in the works. One is a spicy miso cheese mazemen (a type of ramen with little soup and lots of stuff that you mix up furiously and slurp up) a cold chili sesame hiyashi chukka (cold Chinese style noodles) and a cold roasted tomato ramen. I am working on new noodles for each dish. 9. Do you want to mention your book? Yes. I’ve written a wonderful book all about ramen and what has made it the undeniable champion food of Japan. Mixed in is how I took on the challenge of opening a ramen shop in Japan and all the experiences along the way. Unfortunately I lost the publisher, which went out of business earlier this year. I am currently searching for a new publisher and If anyone has any ideas…. In the meantime my book is excerpted in David Chang’s new magazine “Lucky Peach” which hits newsstands next week. Have a look if you can! 10. Anything else you’d like to mention? I plan on continuing my goal of offering the most delicious ramen I can make and offering it with a giant smile. I hope everyone can make a trip to Ivan Ramen or Ivan Ramen Plus if they come to Tokyo. Kyoto place in the planning?